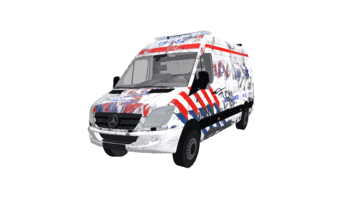 The Ambulance is a van in MTA DayZ. The engine sound of this veihcle is fully customized (as well as other sounds). This vehicle is protected 50% more than usual vehicle in game. The trunk can be opened via actions menu. Top speed (Turbo mode): 99 mph.